The Data Protection Act gives you the right to find out about what information is held on you – including your criminal record. It’s only for personal use, and except in certain circumstances, the legislation doesn’t give you the right to find out about another person’s criminal record. In certain circumstances other organisations may be able to apply to find out about your criminal record, and can apply to the Criminal Records Bureau to search for any records relating to you. The Data Protection Act gives you the right to obtain a copy of any information that the police hold about you. You need to make an application to the police in order to see a copy of your criminal record, and this application is called a subject access request. A subject access request has to be made in writing, and you have to contact your local police force. You’ll need proof of your identity, and they can charge you up to £10 for the service. They don’t have to release the information if they believe that it could be likely to ‘prejudice the prevention or detection of crime’ in a particular case. They may also edit the copy of your record that they give you, to delete any reference to another person. They must deal with your request promptly, and have a maximum of forty days to find and supply the information you have requested, unless it’s exempt for crime prevention or other reasons. If it is exempt, they must tell you. You can also make a subject access request if you want to find out about any personal information that might be held about you by other organisations, such as the Court Service, Crown Prosecution Service or Prison Service. Can Information About My Criminal Record Be Released? According to the Data Protection Act an organisation is allowed to release your personal information, including details of any criminal record, if that information is needed to help with crime prevention, or in some cases to catch and/or prosecute a suspect in a crime. This type of information is exempt from the parts of the Act which prevent an organisation from releasing personal information on an individual. Of course, the most likely people to be making this type of request would be the police themselves, but in some cases an organisation involved in law enforcement or crime prevention such as benefit fraud investigators can apply. If information is released for any of these purposes, there’s no legal requirement for the organisation releasing your information to tell you that they are doing it, especially if doing so could prejudice a criminal investigation. There are two levels of disclosure that a potential employer can apply for. This is for posts that are likely to involve some working with children or vulnerable adults. It can also be applied for if you’re joining the legal or accountancy profession. 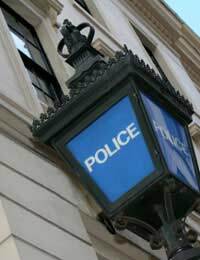 A standard disclosure will give details of any convictions held on the Police National Computer – this includes 'spent' convictions too. It will also give details about cautions, reprimands and final warnings. If you’ve applied for a job working with children, the disclosure goes even further and searches for information from government departments about whether you’re on ‘List 99’ a list of people banned from working with children or considered unsuitable to work with vulnerable adults. This is only for posts that are likely to involve a great deal of contact with either children or vulnerable adults, such as teaching, care assistant, or voluntary work as a scout or guide leader. In some cases such as applications for a gaming or lottery license a check would also need to be carried out. An enhanced disclosure also checks local police records for any additional information that might be relevant to the post. In very rare circumstances, they can send information relating to current investigations to a potential employer without telling you. I'm a UK subject. I moved to U.S.A. at 18months. I left at 37years old back to UK. In that time I obtain a criminal record in the U.S.. When I moved to the UK I also obtained a criminal record. Now I require my record to obtain a visa. I was not deported. But, when i took my family to Florida in 2004. no problem, Again in 2005. I go with 12 family members in 2009 and was refused entry. Now I need my record in order to get this visa. My U.S. record has already been made a UK record on file here.